David Sigelman was a much-loved doctor, teacher, colleague, friend, social activist and community organizer. 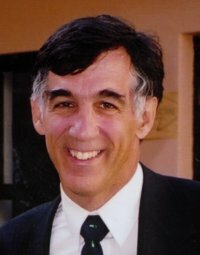 In three decades as a pediatrician caring for some of the neediest children in New England - and, in the last three years, remote mountainous areas of Ecuador and Peru - he impressed thousands of patients, co-workers and students with his deep dedication, warmth, energy, concern and humor. An avid hiker and backpacker who considered food and health care to be basic human rights, he died at age 58 while volunteering to care for malnourished children in high Andean villages: as the Daily Hampshire Gazette noted in an editorial, "doing what he loved and in service to others." David grew up in Watertown, South Dakota, on the edge of the Great Plains. His father and uncle, sons of east European Jewish immigrants, co-owned an auto parts store, and as a teenager in the late fifties and early sixties David roamed the continent with his older brother, Bob, sharing the driving (he got a farm license at age 13) or else in small plane without lights, electricity or navigational equipment. A gregarious youth - curious, tireless, and engaging -- he excelled in school and sports. Though his subsequent athletic passions, except pond hockey and coaching youth soccer, were decidedly non-competitive, he was selected to the all-state football team in high school. In 1968, David graduated from Dartmouth College with honors, and four years later he received his medical degree at Harvard Medical School. During the next few years, he trained in pediatrics at Mass. General Hospital, taking a year off to volunteer in a hospital in Cali, Columbia. In 1976, he joined Holyoke Pediatrics Associates, moving to Granby, then Northampton. He was a lecturer at Baystate Medical Center, a Clinical Associate of Mass. General and an associate professor at Tufts Medical School. He was named Outstanding Teacher of the Year four times by the resident staff at Baystate. David's joy was infectious. His upbeat, entertaining manner in the examining room, unhurried explanations and regular house calls earned him the affection of his patients and their often-anxious parents. Over the last decade, he and his colleagues have worked hard to keep HPA independently-owned as HMOs have bought up small practices in the area. At the same time, he and his wife Pat, a naturalist and teacher-director of the nursery school at Arcadia Sanctuary, increasingly took time to travel the world. In 2001, they trekked 200 miles across the Himilayas. In 2002, David traveled to the remote Altiplano region in Peru as part of a non-governmental program to improve living conditions in stark, cold villages without electricity or phones, some as high as 15,000 feet above sea level. With a diet of just potatoes and barley, severely malnourished children in the region suffer widespread health problems: stunted physical growth and mental development, intestinal parasites, diarrhea, eye infections, and high infant mortality. Three years earlier, 26 schoolchildren died from eating breakfast cereal contaminated by insecticide. David responded by returning annually with other doctors, establishing a program to bring Baystate residents to the area, and founding Greenhouse Project INCA (Infant Nutrition and Community Agriculture). "Simple but very effective solutions to the nutritional problem are available," he wrote. Project INCA pays for communities to build inexpensive plastic and wood greenhouses, buy seeds, and pay for technical assistance for growing vegetables that contain nutrients for which there are no other sources in the region. The produce is given to pregnant women and young children first. As David put it, the effort "represents a low-cost, effective and culturally appropriate solution to health and nutritional problems." In addition to hiking, backpacking, biking, and cross-country skiing - and gleefully organizing friends to join him - David was passionate about books, music, and education. In recent years he founded an all-male book group, became a "dedicated beginning" viola da gamba player, and served on the boards of the Arcadia Players and the Northampton Community Music Center. David's contribution to life in the Pioneer Valley, where he chose to live and work because it suited his many enthusiasms - a place where he could care for not only poor and Hispanic children but also middle class kids, teach young doctors, indulge his love of music and friends, and bike, hike and ski often in the hills -- can be measured best by the extraordinary number of people who feel their lives have been bettered by knowing him.